German media company Wige Media has taken over the operational business of Munich-based TV production company South&Browse, including all 20 employees, with immediate effect. 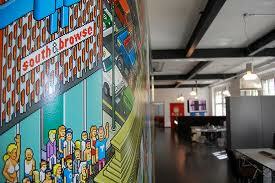 The company will be renamed Wige South&Browse, with the headquarters remaining in Munich. Wige didn’t give details on the purchase price, but said that it would be a five-digit Euro figure, thus, amount to at least €10,000. South&Browse produces TV formats in the areas of entertainment, knowledge and society for public and commercial TV channels such as ZDF, ProSiebenSat.1 group and Bayerischer Rundfunk. Tom Gamlich, head of South&Browse, will continue to be responsible for the operational business. The new managing director will be Peter Lauterbach, CEO of Wige Media. South&Browse had to file for insolvency in January 2014, mainly due to financial difficulties associated with its failed TV venture Timm.